Lieutenants Francis E. Peebles and John L. Durant (1944). Both were graduates of the 4th Alamo Scouts Training Class and returned to the 33rd Infantry Division where they led I & R (Intelligence and Reconnaissance) Platoons. 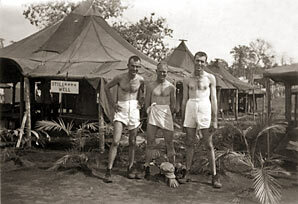 Peebles went on to serve as the Regimental I & R Platoon leader. 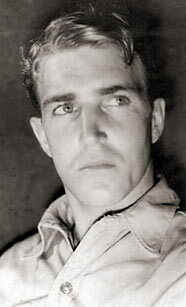 Durant was killed on 20 October 1944 in New Guinea while leading a 31-man recon patrol. 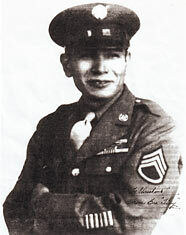 Alamo Scout Theodore "Tiny" Largo, a Native American from the Pima Tribe, was a graduate of the first Alamo Scouts Training Class, and a member of THOMPSON TEAM. 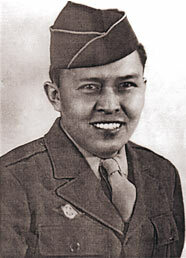 Alamo Scout Byron Tsingine, a Native American from the Navajo Tribe, was a graduate of the first Alamo Scouts Training Class on Fergusson Island, New Guinea in February 1944. 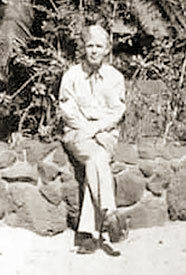 Alamo Scout Edward W. Walsh, a graduate of the seventh Alamo Scouts Training Class at Subic Bay, Luzon, P.I., was a member of OUZTS Team and performed operational missions at Tugueguerao and San Mariano, Luzon, in June and July 1945. 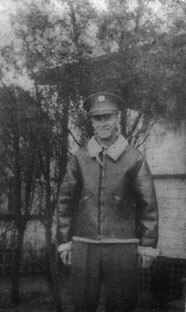 Captain Howell S. Kopp, a graduate of the third Alamo Scouts training class, returned to his unit in June 1944, to work with the Allied Intelligence Bureau. He was reported as "missing in action" on 3 October 1944, when the submarine Seawolf, on which he was aboard, was lost at sea. 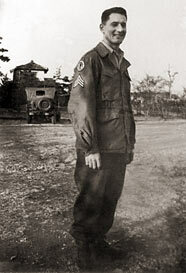 Kopp was was en route to an undisclosed location in the Philippines to conduct a clandestine mission in support of the upcoming Allied landing on Leyte. 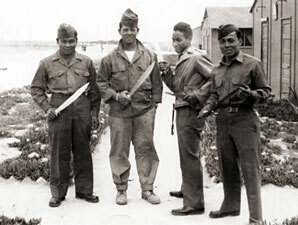 Alfredo Alfonso (second from left) in training with the 2nd Filipino Infantry Regiment at Camp Cook prior to joining the Alamo Scouts. 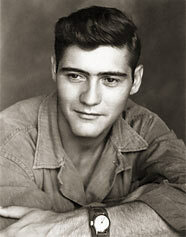 Alfonso served on NELLIST Team and performed numerous missions behind enemy lines, including two POW camp liberations. Alfonso also served in Korea and in Vietnam. 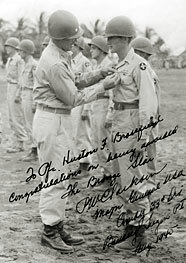 PFC Huston Brassfield, a graduate of the ASTC at Subic Bay, Luzon, shown with the 123rd Infantry receiving the Bronze Star, August 1945. 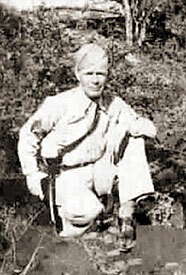 PVT Joseph A. Johnson, likely pictured sometime in 1941 during basic training, graduated from the first Alamo Scouts Training Class and was a member of THOMPSON Team. Nicknamed the "Ghost," for his incredible stealth, Johnson was a Native American from the White Mountain Apache Tribe. (Photo courtesy of Byron Tsingine & the Johnson family). 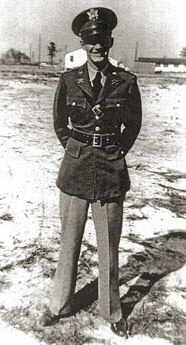 SGT (later SSG) Anthony J. Ortiz prior to joining the Alamo Scouts. 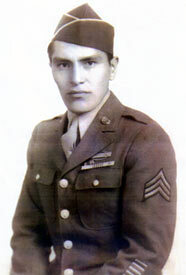 Ortiz, a Native American from the San Juan Pueblo Tribe, was a graduate of the first Alamo Scouts Training Class and member of THOMPSON Team. SGT Hezzie Glasgow, member of the ASTC Overhead Personnel, relaxes in front of a coconut tree. Circa 1944. (Courtesy of the Glasgow family). SGT Hezzie Glasgow, Circa 1944. 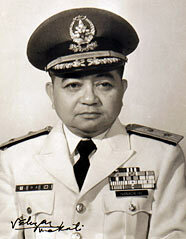 Brigadier General Tagumpay A. Nanadiego AFP (RET), prior to his retirement in 1974. Nanadiego was an intelligence and operations officer with the Vera's Guerrillas resistance movement on Luzon during World War II, and was attached to THOMPSON TEAM for operations in the Bicol Regions outside the Bondoc Peninsula. 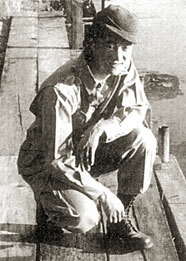 Then Major Tagumpay A. Nanadiego with The Vera Guerrilla unit. Tayabas, Luzon, P.I. 1945. THOMPSON TEAM conducted several operations with the support of Vera's Guerrillas on Luzon. Curtis Broussard, a graduate of the ASTC. 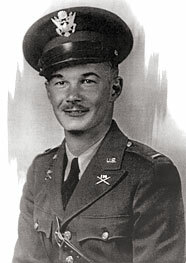 John R. Long, a graduate of the ASTC. 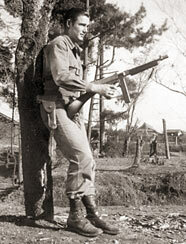 PFC Leroy F. Donnette, assigned to Rounsaville Team. Donnette was a member of the Camp Overhead Personnal and was the only operational Scout not to undergo training. SSG Leonard J. Scott of the Reynolds Team. 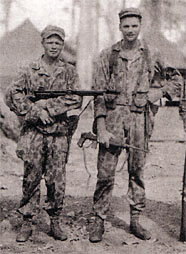 SSG Donald D. Grimes (left), was a graduate of the 7th Alamo Scouts Training Class and a member of the SHIRKEY Team.